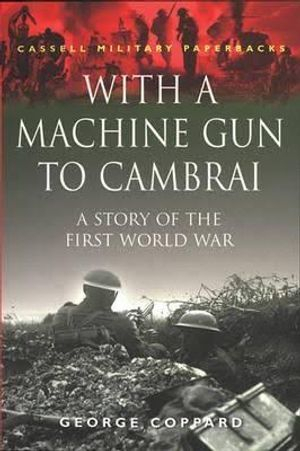 “With A machine gun to Cambrai”, a selection of memoirs from Infantryman and Machine gunner, George Coppard. Coppard writes from his own personal memory of the Great war, simple but enticing, revealing his experience with the Machine Gun Corps. 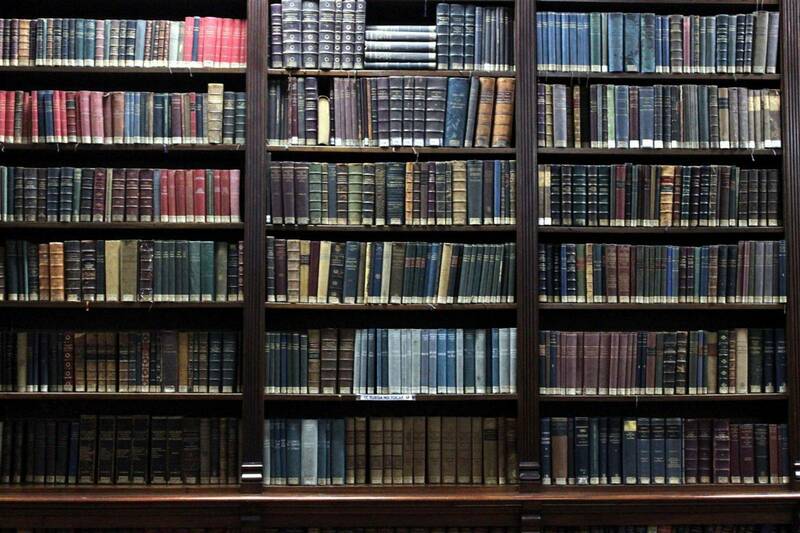 A unique storyteller, as he writes as a mere Private Soldier, who was serving under a time of censorship. He is ability to tell the story of his journey from “Joining up” to winning his “Military Medal”, keeps you glued and turning the page. This book reveals a soldier, who writes from the Trenches as A Private of the Royal West Surrey’s, and developing himself through his experiences to an “Almost Sergeant” of the suicide squads of the Trenches, Machine Gun Corps. Coppard’s, adventures within this period have lived with him through his life. Though written over 50 years ago, he keeps you excited though his flashbacks but also tell the story of thousands of men, who lived, ate and died in the Great war. One of the first books I read, when I first got interested in this period of history, I found it revealed the side of history which I could relate too. The side of history only “An old soldier could reveal”. His attention to detail, is what makes this book, from his snapped pistol lanyard to melting down bullets to make cap badges, my imagination helps me to paint a picture. “The First Hundred Thousand”, by John Hay Beith, AKA “Ian Hay”, is the unofficial account of the 10th Battalion, Argyll and Sutherland Highlanders, from their formation at the outbreak of war, into action at the Battle of Loos, with its sequels continuing to cover the rest of the war. It is written as if it is a fictional novel, using characters with entirely invented names, however, if read alongside the battalion’s war diary it is clear that it is a detailed and exact account of their war service. From his description of training the hundreds of civilians who joined up in 1914, to the conditions of the Western Front, Beith shows us exactly how the war really was. It is little wonder it is so accurate, as Beith himself was a Second Lieutenant in the battalion and wrote the novel as a serial in Blackwood’s Magazine as the events took place. 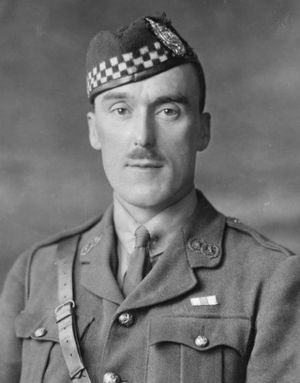 He was later promoted to Captain and awarded the military cross at Loos, before being attached to the Information Bureau of the British War Mission in the USA. Beith uses various recurring characters in the book in order to give the reader an idea of life in the battalion, the atmosphere and the camaraderie. Again, if events are compared to the battalion war diary it is often easy to spot the real people who inspired the characters. Beith himself is mainly represented by “Second Lieutenant Bobby Little”, but also by “Captain Ayling”, in his role as battalion machine gun officer. Similarly, “Angus McLachlan”, who features prominently in the sequel “Carrying On”, is very obviously based on the real life Second Lieutenant Cassie. Beith also follows the story of the rank and file of Kitchener’s Army through a number of different characters, but predominantly with “James Mucklewame”, clearly not a real name! The transition from civilian to soldier in the early chapters is particularly interesting, as it really illustrates the mammoth task of creating an army of 100,000 to replace the worn out BEF by 1915. The training and competence of officers is noted too, and the “Lions led by Donkeys” myth put to bed as really just that, a myth. Later in the book, we also see the men struggle to adjust to life in the front line, see them, take lessons in trench warfare from regular battalions (which conveniently can be verified by the letters of Second Lieutenant Alexander Gillespie, 2nd Bn. A&SH, who recalled having to look after the newcomers of the 10th! ), and finally go into battle as one of the best units of the British Army. “The First Hundred Thousand” and its sequels are an unprecedented gift of information on the real experiences of officers and soldiers during the First World War. These accounts of adversity, comradeship, tragedy and bravery, while written in the form of prose, are almost unbelievably accurate, and for the people at home reading them at the time, were undoubtably as precious sources of information as they are to us today. For this reason, “The First Hundred Thousand” is possibly the most important literary work of the Great War, and I would encourage anyone with an interest in the war to read it.